You can access the full Oregon Employment Law Manual (over 50 state-specific reference resources) and Employee Handbook templates (over 20 state-specific handbook policy templates) below, as well as view key state and municipal deadlines, additional state-specific resources and links to key municipal coverage. Updated to reflect requirement regarding the Form OR-W-4, effective January 1, 2019. Updated to reflect various discrimination-related provisions under the state Equal Pay Act of 2017, effective January 1, 2019. Updated to include notice-posting requirements under the state Equal Pay Act of 2017, effective January 1, 2019. Updated to reflect the requirement to provide employees with new Form OR-W-4, effective January 1, 2019. Updated guidance to reflect the state equal pay law, effective January 1, 2019. As mandated by the Oregon Department of Revenue, an employer must provide the Oregon Employee's Withholding Allowance Certificate, Form OR-W-4, to an employee to claim Oregon withholding allowances under certain circumstances. 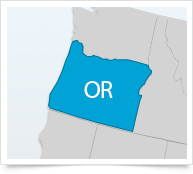 A round-up of the comprehensive state coverage XpertHR offers to help Oregon employers ensure they are compliant with state HR and employment laws.